We recently sat down with Sonja and Alex Overhiser, also known as A Couple Cooks. They are a writer/photographer/recipe-developer couple who have a food blog and, more recently, a podcast. They're also our neighbors and only live a few houses down from us! 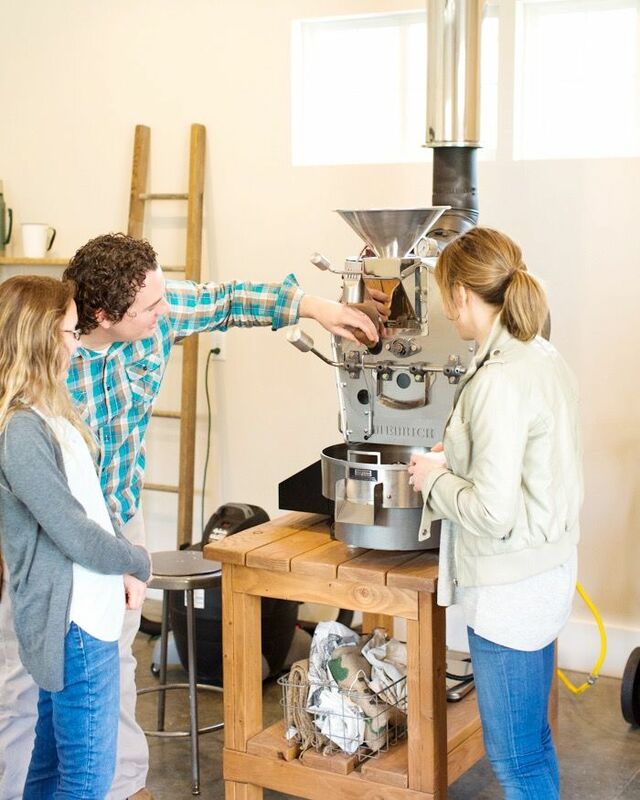 They came last week for a visit to our roasting room, and we got to share a little bit about Blue Mind and our love of coffee for a podcast episode. In it, they also talk about homebrewing and their go-to method, the Aeropress. Additionally, we have collaborated with them for a FREE GIVEAWAY of an Aeropress and all 3 of the coffees we are currently offering, so listen carefully for details! You can stream the podcast here: "For Coffee Lovers Only." Learn how to subscribe to their podcast here: "A Couple Cooks Podcast." Sign up with your email address to receive coffee news and updates. We will keep it to a minimum. We respect your privacy. Your name is safe with us. © 2019 Blue Mind Roasting. All rights reserved.